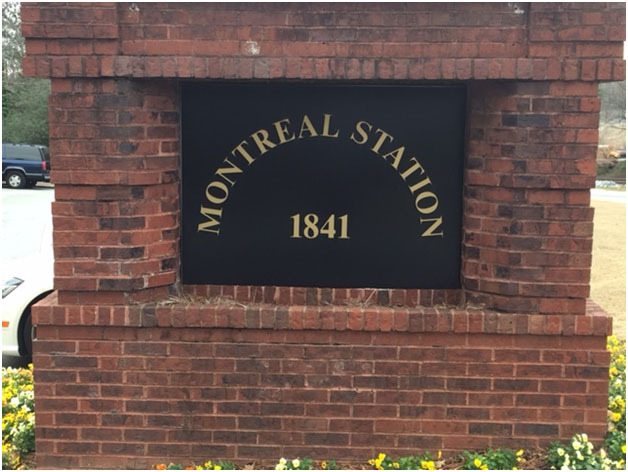 The Atlanta Back Clinic is located in Tucker, GA at 1841 Montreal Road Ste 110. Use the Google Maps link below to find specific directions from your location or follow the directions below. Go east on Scott Boulevard, continue on Lawrenceville Highway to Montreal Road - just before the I285 interchange. Turn left onto Montreal Road. Cross over the railroad tracks. 1841 Montreal Road (Montreal Station building) is on the right side approximately 100 yards past the railroad tracks. Take I285 East to EXIT 37 (LaVista Road). Take a right turn at the end of the exit ramp - on to LaVista Road. Take a left onto Montreal Road ( landmarks are Red Lobster and Dunkin Donuts). 1841 Montreal Road (Montreal Station) is on the left just past the Fire Station and before the railroad tracks. Take I85 North to EXIT 93 (Shallowford Road). Turn right onto Shallowford Road. Turn left onto Briarcliff Road. Turn right onto Henderson Mill Road. (Northlake Mall will be on your left) Turn right onto LaVista Road and immediately left onto Montreal Road (Dunkin Donuts is on the corner). 1841 Montreal Road (Montreal Station) is on the left just past the Fire Station and before the railroad tracks. Go west on Lawrenceville Highway. Cross over the I285 interchange and take the first right onto Montreal Road. Cross the railroad tracks. 1841 Montreal Road (Montreal Station) is on the right approximately 100 yards past the railroad tracks.